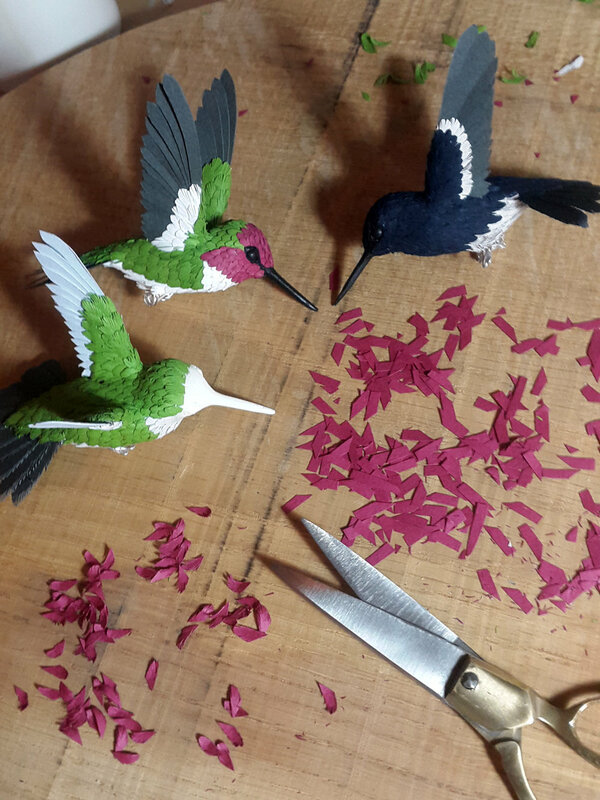 Made from paper, wood and wire, each hummingbird is hand crafted and painted to your exact specifications. Display options include a brass hoop for hanging, perched on a branch or within a bell jar/display case. 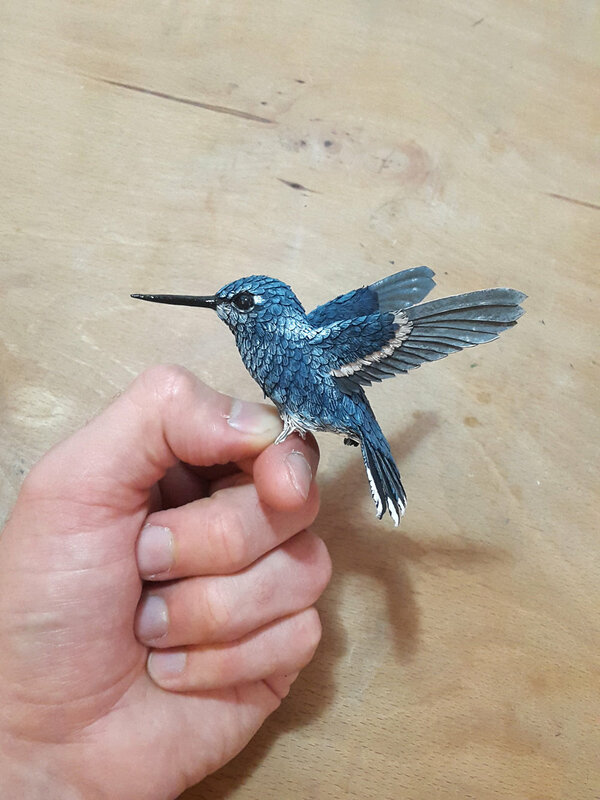 The processes involved in making each Hummingbird can be seen on the slideshow at the bottom of this page. Whichever species or colour combination you have in mind please just email for a quote: zack@paperandwood.co.uk (link in the side bar). 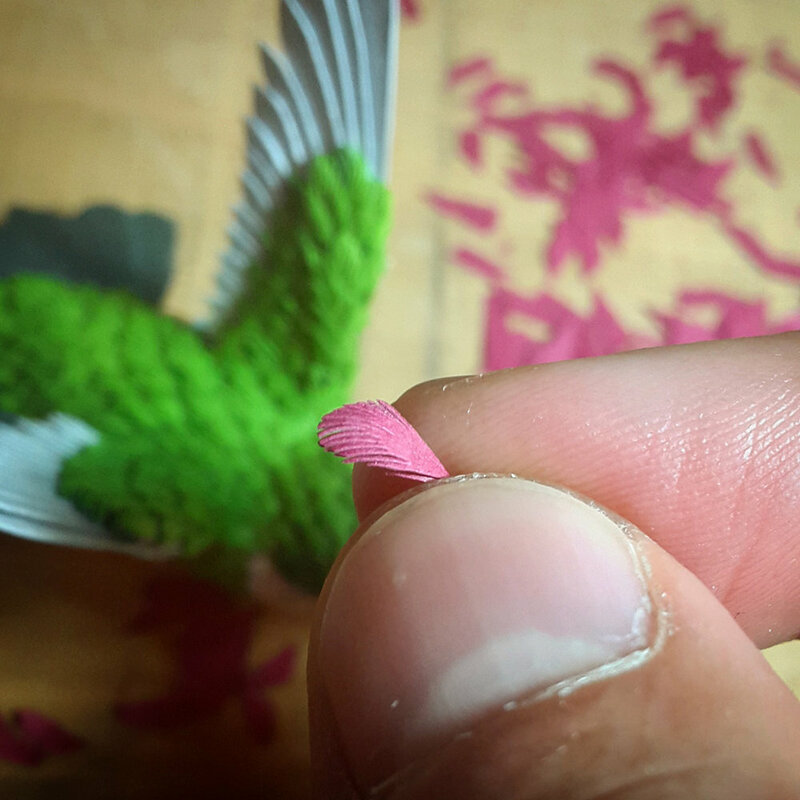 Around 500 hand cut paper feathers go into each bird. 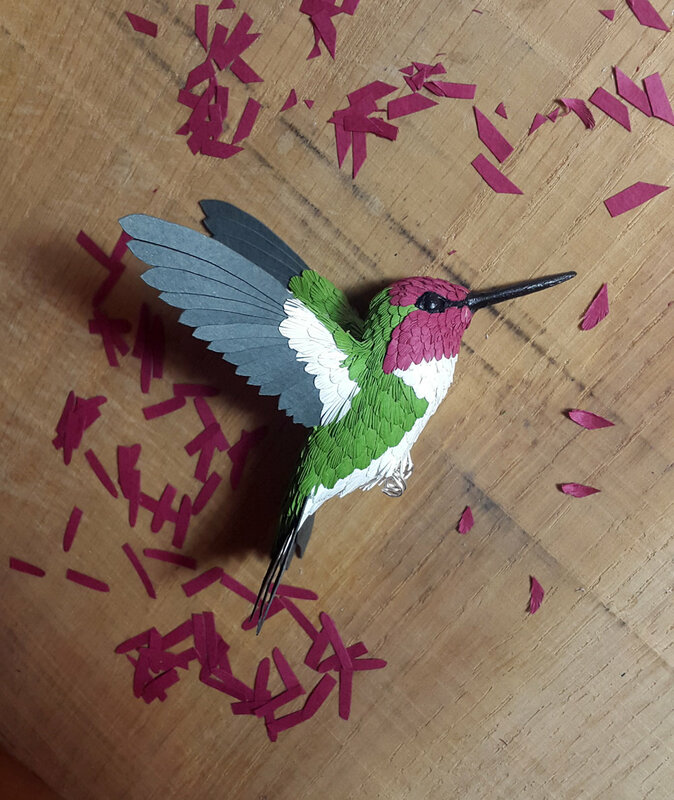 Each hummingbird takes around 40 hours to make. 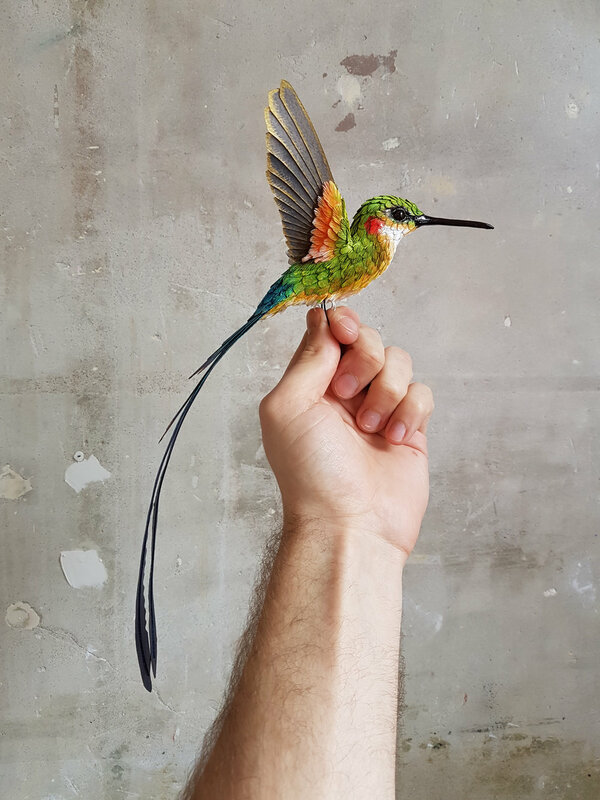 All the hummingbirds are designed and made to be life size. A slideshow of photos showing the processes involved as well as some different designs already made.